It’s getting warmer out, so we’ve begun diving into melons again. 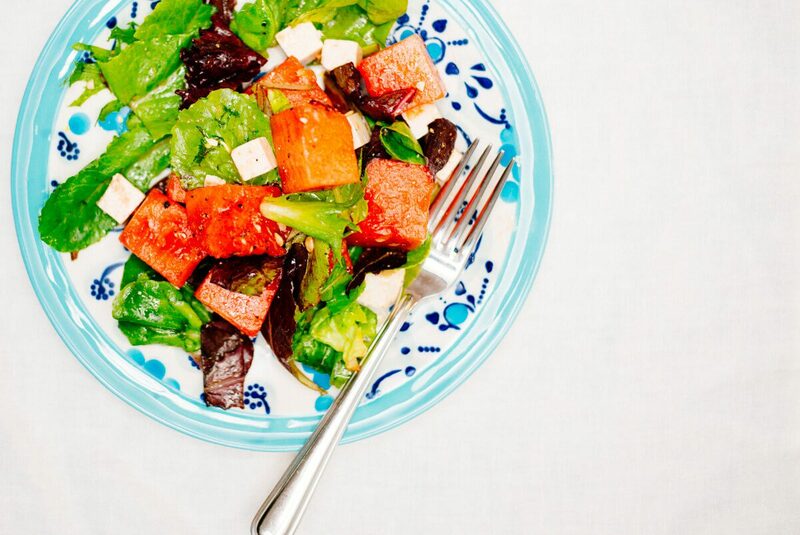 We’ve been making this Watermelon and Ricotta Salata Salad lately. It’s one of our favorite salads, with a great combination of sweet and salty flavors. Ricotta Salata is an Italian sheep milk cheese. Think ricotta cheese that has been dried, aged, and salted (so it won’t go bad as fast as ricotta). It’s salty and delicious! 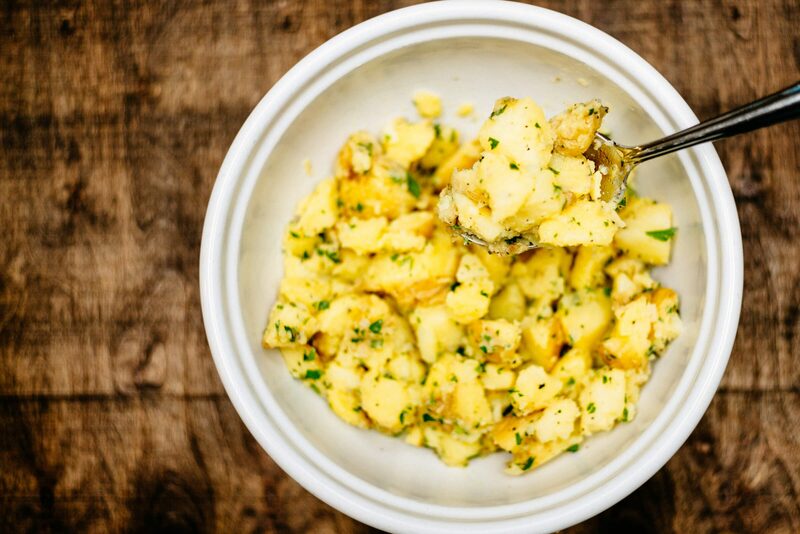 You can crumble, grate, or slice it. If you can’t find ricotta salata, for this dish you can try sheep feta or Grana Padano. We like it so much, we plan to work on some more ways you can use it. When you find a ripe watermelon, it’s sweet and refreshing without sugar. We choose our watermelons by trying to find a heavy one. 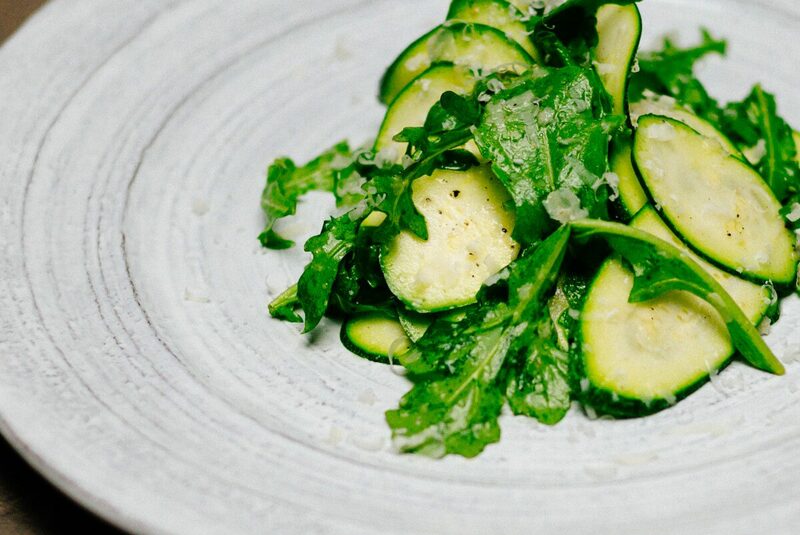 We like to use salad greens or arugula to pair with the sweetness. 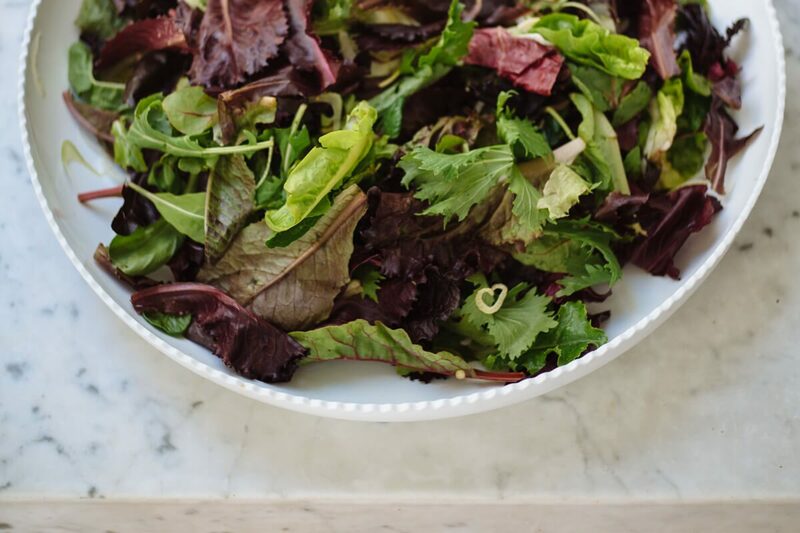 Arugula has a more peppery note, so that can add even more depth to the flavors, but salad greens are fantastic too. A salad spinner is an essential in our kitchen, and we use it to clean and dry greens and other fruits and vegetables. It makes life so much easier! We’ll be making this Watermelon Ricotta Salata Salad for our next cookout this summer. Since it’s brightly colored, we like to serve it on fun plates. We used these ones from Anthropologie, but we also found other fun ones here, here, and here. With watermelons this good already in season we’ll be stirring up some of our favorite melon cocktails soon! In a large bowl, add watermelon, ricotta salata, salad greens, salt and pepper. Drizzle with olive oil and balsamic vinegar. Toss and serve on fun plates!